I thought that I would give another Zoya polish a chance from the mini haul I did back in January, you can see what I picked up here. Up this time is Zoya 'Brigitte', described by Zoya as a 'full-coverage, bombshell mauve cream'. Brigitte is also part of the Zoya Naturel collection, im not sure if its part of 1 or 2 though. Trying Zoya nails polish with my usual base and top coat. 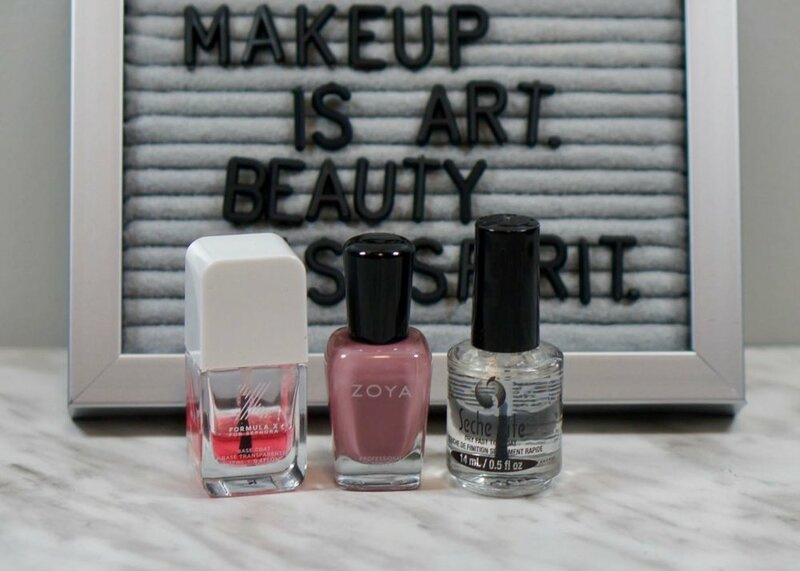 For trying out this next Zoya polish, I thought I would use my regular base and top coat, Sephora Base and Seche Vite Top Coat, to see if I was able to get more wear out of the polish. If you remember when I tried out Zoya 'Normani' I used Zoya base and top coat and had quite a bit of tip wear by day 2, not what I like to see. I will say that the tip wear didnt get much worse after that, or at least not that I noticed Normani is a neutral leaning polish as well. Zoya Brigitte, 2 coats for full coverage! I love the color of Zoya Brigitte! For me it is a great neutral mauve that is not in your face. Brigitte on my nails is the kind of neutral that can go with anything I think, its not to mauve nor is it to neutral, just the right amount of color. Brigitte also was almost opaque after one coat but I did a second coat to even things out a bit more. I'm not sure if the Base coat and Top coat had much to do with how smooth and easy this shade went on, but im loving it! Another shot of Zoya Brigitte! I think that if you are in the mood for a new neutral, go-with-anything, polish you could do far worse than Zoya Brigitte! I can definitely see me pulling this polish out and wearing it over and over again! Which is not something I have said in a long time! What are your favourite shades of polish? Have you used Zoya before? Let me know your thoughts.